The future of public relations relies heavily on interacting with individuals and companies online. Building awareness and brand recognition is only the first step. What are you doing to make your news content and brand story easily found and talked about online? In order to reach journalists, analysts, bloggers and influentials on the web, it’s essential that Public Relations and Communications professionals understand the role search and social media play with influencing information discovery, consumption and sharing. 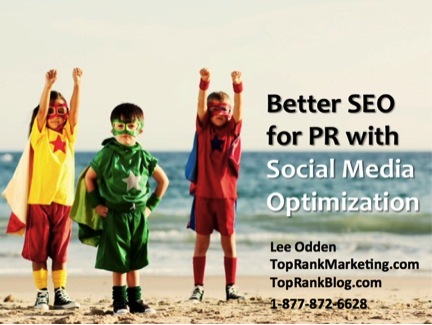 At the annual PRSA International Conference on October 17th, TopRank Online Marketing CEO Lee Odden will provide Public Relations and Corporate Communications professionals with an exciting new roadmap to help “Optimize and Socialize” news content for better discovery through search and social media. Odden’s presentation, “Advance Your Digital PR Skills With Social Media Optimization”, will share compelling reasons why search and social fit within a digital PR mix as well as specific search engine optimization tips for the types of social media websites often used by PR and Media Relations professionals including: SEO for blogs, Facebook, Twitter, LinkedIn, Flickr and YouTube. 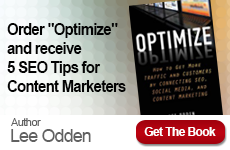 For a preview of what Odden has in store for you be sure to catch his blog post from earlier this year on the importance of SEO and Social for Public Relations. Register to attend PSRA’s 2011 International Conference. If you’re interested in learning more about the latest SEO and social media events be sure to subscribe to our newsroom feed. 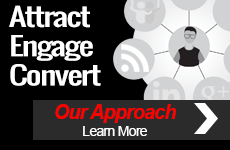 Also be sure to follow us on twitter @toprank or become a fan of Online Marketing Blog on Facebook for more information.